Putting a price on carbon is necessary to send the correct market signals and to spur private sector innovation. But this innovation can and must be accelerated by public-sector research and investment, as it should be. We've got to make the transition to a carbon neutral, prosperous America as quickly as possible, and that requires public as well as private investment in our common future. Auctioning emissions allowances or taxing emissions can not only send the right market signals to the private sector, but can also raise the necessary billions in funding for massive public investment to drive down the cost of clean energy technologies, a down-payment on a carbon-neutral, prosperous America. NEW YORK, September 27, 2007 -- ConsumerPowerline, a leading strategic energy asset management firm whose marketplace innovations have produced millions in energy savings for its large industrial, commercial and residential customers, announced the completion of its $17 million Series A Preferred Financing. The round was led by Expansion Capital Partners, LLC, a leading Clean Technology venture capital firm, with co-investors Bessemer Venture Partners, as well as Schneider Electric Ventures, the New York City Investment Fund and Vantania Holdings, advised by Consensus Business Group. Diana Propper, partner at Expansion Capital Partners, and Justin Label, partner at Bessemer Venture Partners, will join ConsumerPowerline’s board of directors. The placement was facilitated by America’s Growth Capital. ConsumerPowerline will use the funds to aggressively expand Demand Response, smart metering technologies, permanent energy efficiency solutions and other products and services designed to pay end-users for the efficiencies that they offer to the national, regional and local energy markets. The company continues its record as a pioneer in the creation of the demand response industry. ConsumerPowerline created the first “aligned incentive” model, in which the firm shares in the incremental savings or revenues it generates for clients. Demand Response is a kind of electricity “insurance policy” in which large energy users help prevent widespread blackouts, brownouts and voltage reductions by using less power when the local and regional electric grid is under stress and a power outage looms. Energy companies can buy “negative watts” (negawatts), at the same rate as electricity for those peak hours--avoiding the far higher cost of outages, building new power plants or running dirty, uneconomic peaking plants. Using a web-based technology platform and an integrated national approach, ConsumerPowerline has become a trusted energy management partner, helping owners and operators of large commercial, residential, institutional and industrial facilities that have significant energy demands, gain greater control over energy expenditures and generate new sources of revenue. Gordon concluded, “Since our founding, ConsumerPowerline has been committed to building the best platform for our products and services. In the six years of our existence, we have paid our clients well in excess of $20 million, and have helped build an industry that has far and wide reaching positive implications for the greater economy. We have proven that Demand Response is a valuable, vital and growing component in the nation’s broader energy management portfolio. ConsumerPowerline is focused on bringing our services, our products and our commitment to help our clients generate real revenues as well as to help them become better energy stewards. As such, we could not have a better group of investors to partner with. This unique team will enable us to further realize the company’s full potential,” he said. ConsumerPowerline was selected for the Inc. 500 list for 2006 and 2007, Deloitte Technology Fast 500 Award, as well as the recipient of the Ernst & Young Entrepreneur of the Year Award for Emerging Business. ConsumerPowerline's client list features notable public and private firms including: CB Richard Ellis, Stanley Works, Sears, Hines Property Management, Forest City Ratner Corporation, Co-op City, Macklowe Properties, RFR Realty, NYU Medical Center, Newmark Properties, Douglas Elliman Property Management, Cooper Square Realty, Wentworth Management and dozens of other substantial end-users of energy. ChooseRenewables™ today announced the launch of its Web site at www.ChooseRenewables.com, offering a one-stop destination that helps consumers understand their energy impact and take action to improve it. As global warming continues to generate headlines and energy prices escalate, consumers are increasingly seeking ways to reduce the impact of their energy use and save money. With ChooseRenewables’ free MyEnergy Analyst™ consumers receive a clear picture of their personal energy impact and can implement a simple plan to reduce it with a MyEnergy Makeover™. The one-of-a-kind MyWatts Renewables Estimator™ allows users to simply enter their address and receive a free evaluation of potential solar and wind options they may be eligible to install at their home or business. ·The MyEnergy Analyst helps consumers calculate the impact of their annual energy use by pooling statistics and data from the U.S. Department of Energy to measure emissions of carbon, mercury, nitrogen oxides, sulfur dioxide and total cost of energy. Once calculated, the MyEnergy Analyst breaks down the energy impact at home, while driving, and while flying and compares the consumer’s impact to that of the average individual with a similarly-sized home in their region. ·Users can then create and implement a MyEnergy Makeover to reduce their energy use through conservation, offsets or generation of renewable energy. ChooseRenewables encourages its customers to implement energy saving technology and behavior, and then use a portion of those dollar savings to fund their commitment to renewable energy. ·ChooseRenewables’ exclusive MyWatts Renewables Estimator allows users to enter their home or business address and instantly see their on-site wind and solar power potential. The tool provides an estimated payback period for a wind turbine or solar installation based on the magnitude of wind and solar incentives available to them, combined with the average wind speed, solar radiation, state and federal incentives and current electricity cost at that location. An algorithm then examines the viability of an on-site wind or solar power installation, and within seconds provides an intelligent display of the on-site solar and wind power potential coupled with a detailed Google Earth map of the physical location. The tool uses data published by the National Renewable Energy Laboratory to estimate the average wind speed and solar radiation. The U.S. market for small wind solutions is estimated to continue growing at a 14-25% annual rate, with solar solutions forecasted to grow 27-32% per year. For consumers with a good site for wind or solar energy generation, ChooseRenewables offers a detailed analysis of their options based on local market data and site-specific wind speed data to arm them with the information they need to make a sound renewable energy investment. If consumers discover they have limited wind and solar options for their home, the ChooseRenewables Online Store also offers a variety of products and services to help homeowners conserve as much energy as possible, including an energy conservation kit that contains compact florescent light bulbs, insulation and gap fillers, low-flow shower heads and a programmable thermostat. ChooseRenewables also provides options to help consumers offset their conventional energy use through renewable energy credits (RECs). By purchasing RECs, consumers can displace other non-renewable sources from the electric grid. Emerald Technology Ventures has taken the initiative to organize the European Venture Fair 2007 in order to discuss relevant industry issues and to introduce investment opportunities for energy investors. 10-15 expansion and early stage energy technology companies (visit Cleanergy.org again next week to review their profiles) will have the opportunity to present their business at the conference. A screening committee, composed of select partners of the EEVF 2007, will identify the most promising companies. Be the Change! Share the Story! challenges students in grades 1-12 across the United States and Canada to create and document their social and environmental projects on film. Besides helping to make a difference in the global community, winning schools will receive over $200,000 in cash and educational resources. Students will document their progress in two short videos, and then the videos will be voted on by the students themselves, with an entertaining puzzle game woven in to encourage them to learn more about each other’s projects. SolarCity, California’s fastest growing solar systems implementation company, today announced it has closed its largest round of fundraising to date with $21 million in new investments. Leading the financing was Draper Fisher Jurvetson, with additional contributions from JP Morgan and Elon Musk, Chairman of SolarCity. The funding will support the company’s growing talent base and extend expansion into new markets. As a principal investor, Draper Fisher Jurvetson’s Managing Director, John Fisher, will also take a seat on the SolarCity’s board of directors. “SolarCity’s strength in building a market benefiting business and the environment makes them a worthy participant in our double bottom line investment pool,” said Nancy Pfund, managing partner of JP Morgan’s Bay Area Equity Fund. SolarCity will provide a growing list of metropolitan markets with its unique community-based solar programs, which have proven highly effective in building a market for renewable energy and increasing citywide solar adoptions. By encouraging entire neighborhoods to convert to solar, residents receive guaranteed low price. A recently concluded solar program in Mountain View, for example, increased total solar adoption by 3.3 times the amount compared to the number of systems installed in 2006-2007. SolarCity is also donating installations of 1 kW solar demonstration systems at local schools to further build community awareness and understanding of the potential of solar energy. A number of emerging solar services companies have raised venture capital financing earlier this year (Tiaoga Energy from DFJ, NGEN, RockPort Capital, Nth Power - just announced round extension to 14 m$ few days ago; SolarCentury from Zouk Ventures, Good Energies, Foursome Investments - in UK; SolaireDirect from Schneider Electric Ventures, Techfund, Demeter - in France). Expansion Capital Partners has closed its Clean Technology Fund II on above $100m. The original target of the fund was $60m. The fund invests in North American expansion stage clean technology companies that create more economic value with less energy and materials, or less waste and toxicity, with current customer revenues of $2-30m. LED Lighting Fixtures, Inc. (LLF) today announced that it has won the Grand Prize for the 2007 Lighting for Tomorrow solid state lighting (SSL) competition. The contest is organized by the American Lighting Association, the U.S. Department of Energy (represented by Pacific Northwest National Laboratory) and the Consortium of Energy Efficiency. Forty-five fixtures were evaluated by a panel of experts on the basis of energy efficiency, overall lighting quality, aesthetic appearance and innovation. 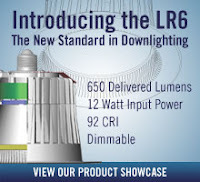 LLF's LR6 product was judged to be the best. All finalists in the competition were tested by independent labs under the direction of the U.S. Department of Energy. LLF's six-inch downlight delivered 600 lumens of light operating at 11 watts, with a color rendering index (CRI) measured at 95. Dr. Steve DenBaars, Professor of Materials and Co-Director of the Solid State Lighting & Energy Center at University of California-Santa Barbara and a judge in the 2007 Lighting for Tomorrow competition said, "This competition places a high priority on energy efficiency, but not at the expense of fixture appearance or lighting quality. We were very impressed with the LR6 product as it offers the highest efficacy for any downlight product on the market and has the appearance of incandescent lamps typically used in residential downlights while using less than one-fifth the power consumption. This product platform has the potential to save US consumers billions of dollars in energy costs." In a finding that could reduce the cost of ethanol fuel, researchers in Brazil report success in using low frequency magnetic waves to significantly boost the amount of ethanol produced through the fermentation of sugar. While bioethanol (ethanol produced from corn and other plants) is a promising alternative to fossil fuels, it currently is expensive and inefficient to make. An intensive research effort now is underway to improve production methods for this biofuel, which is expected to be the cornerstone of the renewable fuel industry. In a new study, Victor Perez and colleagues showed that yeast-based fermentation of sugar cane -- the main source of bioethanol in Brazil -- in the presence of extremely low frequency magnetic waves boosted ethanol production by 17 percent. The scientists also showed that ethanol production was faster, taking two hours less than standard fermentation methods. "The results presented in this report suggest that an extremely low frequency magnetic field induces alterations in ethanol production by S. cervisiae [yeast] and that the magnetic field treatment can be easily implemented at an industrial scale," the article states. Comedian, satirist, and former talk show host Al Franken is running for U.S. Senate in Minnesota on the DFL ticket (in MN, the Democratic Party is called the "DFL"). Last month, Franken made an appearance at the Crow Wing County/Morrison County DFL summer picnic. I grew up in Morrison County, so I attended and was impressed with the (relatively) huge turnout. I met Al, but more importantly he took the time to answer some questions I sent him via email about renewable energy and Minnesota’s role in the clean tech revolution. Maria Energia: What specific renewable energy legislation do you want to see implemented at the federal level? Al Franken: On a macro level, I'd like to implement a national cap and trade for carbon dioxide. This would make the cleanest renewables cheaper than fossil fuels and reward sequestration of CO2 in the form of planting acreage. I'd like to see more federal investment in pilot projects for renewables. Representative Collin Peterson has put in several pilot projects for cellulosic ethanol that would be conducted here in Minnesota. When I have said I want an Apollo Program for renewable energy, I'm talking about making these kinds of investments in renewables, including things like tidal and wave power. The United States has to go back to investing in research and development. This means identifying promising technologies and investing in them. Maria: How would you open up Minnesota's markets for renewable energy investment? Franken: I would refer you to my previous answer. Maria: What is Minnesota's biggest renewable energy advantage (i.e. what can we capitalize on in a clean energy revolution)? Franken: First of all, we grow a lot of corn, the number one feedstock for ethanol. We also grow a lot of soy, which is the number one feedstock for biodiesel. So, obviously, we have had years of experience making both, and our state universities have been doing a lot of the research. Wind is cleaner, and Minnesota is a very windy state. We’re ninth in the nation. We should really be exploiting that more. Also, I think we should reinvigorate our manufacturing base by building wind turbines in Minnesota. So many of the turbines - the mechanisms that turn the spinning blades into electricity - are made in Europe. Let's make them here. Cellulosic is only a few years away and we have prairie grasses, which are perennials and have very deep root systems, making them potentially a very sustainable feedstock. Right now gasified biomass is being used as fuel in ethanol plants. We got a lot of biomass in many forms; for example, forests, especially in the northeastern part of the state, where we don't have wind. As cellulosic technology develops, there is great potential in using our forests, managed in a sustainable way, to add to our arsenal of renewable energy sources. Maria: What is the role of business, government, and consumers in a clean energy future? Franken: The government has to find ways of encouraging businesses to make clean energy available and attractive to consumers. Government should take the lead in making green buildings, working in partnership with companies that develop green technologies, and by investing in energy-efficient transportation systems - light rail, commuter rail, etc. Obviously, tax incentives should encourage businesses to develop technologies and consumers to buy energy-efficient products. This is one of those things where everybody has to work together because it's in everybody's interest. 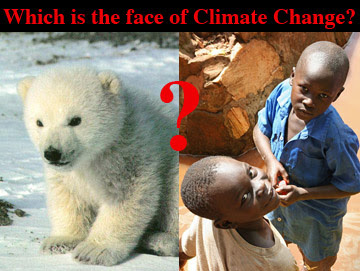 Maria: What steps have you personally taken to fight global warming or make your life more energy efficient? Franken: Right now I’m traveling from Duluth to Minneapolis in a hybrid vehicle - my family Ford Escape. I bike to work, when I can. Biking, as Jim Oberstar might say, converts a hydrocarbon economy into a carbohydrate economy. Of course, we recycle. But the biggest thing I'm doing is running for the Senate, so that when I get to Washington, I can make sure that the things I wrote about in the first four answers can come to fruition. Over seven hundred greentech professionals, venture capital and private-equity investors, and leading members of the press and blogging community will convene at University of California, CA from September 10 – 12 for the inaugural AlwaysOn GoingGreen 2007 event. Thousands more worldwide attendees are expected to participate ‘virtually’ as GoingGreen 2007 will be simulcast live from www.alwayson.goingon.com. This two-and-a-half-day executive event will features CEO presentations and high-level debates on the most promising emerging green technologies and new entrepreneurial opportunities. The purpose of this event is to identify and debate emerging trends, build high-level relationships and create new business opportunities for all greentech professionals. Today, will feel hunger and remember that as global warming intensifies, it will bring with it much more extensive hunger worldwide, especially in poorer countries, as drought, intense storms, glacial melting and sea level rise take their toll. Many are begin fasts today that will last much longer than one day.